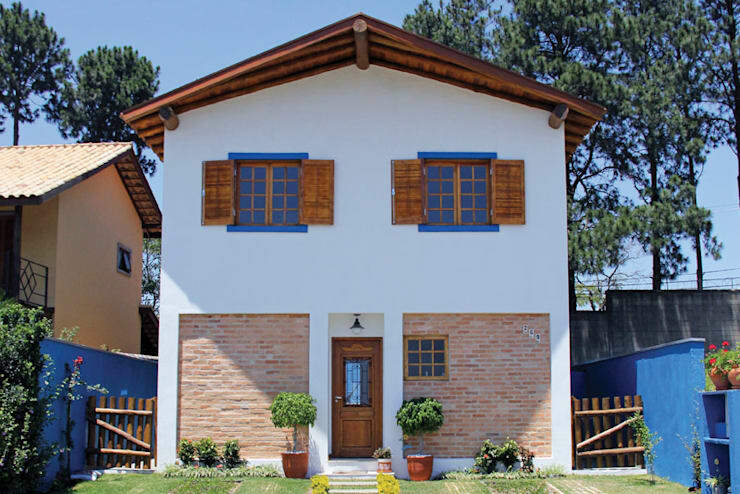 The traditional blend of brick and wood incorporated into this façade creates a home that is American inspired, with a large and welcoming porch area and lovely arched windows to enjoy that morning sun. 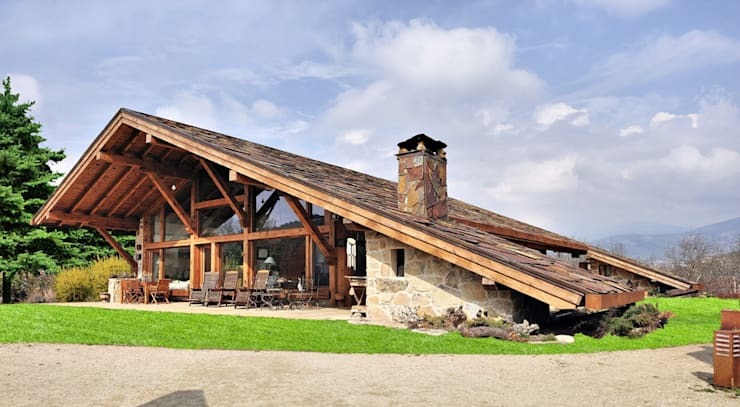 This distinctive rustic home has a wonderful wood and stone construction to make it charming and attractive. 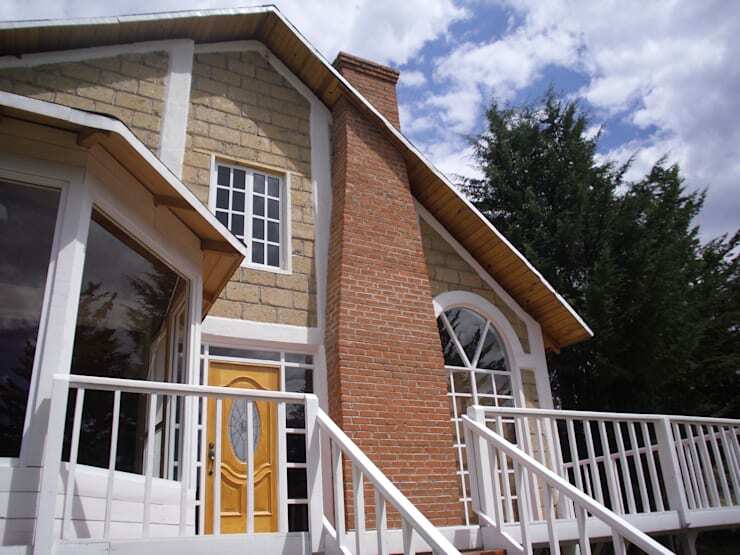 Its lush mountain location makes it an aesthetically appealing choice with panoramic views and simple living, but the cottage itself is a sensational sight from the street. Although this rustic home has slightly modern architecture, there is still a simplicity and elegance which gives it classic charm. The wood, concrete and exposed brick façade add a cute yet sophisticated dimension to this façade, which enjoys a bucolic appeal, too. A fascinating farm-style kitchen awaits us in the next home. The wooden detail is classic and traditional, perfectly in keeping with the love for rusticity that is evident in this cosy abode. 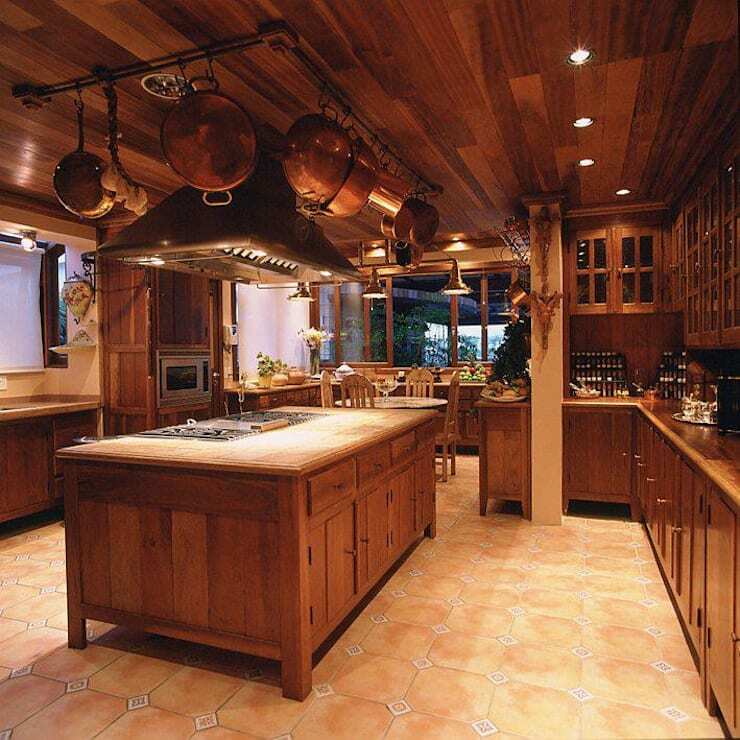 A touch that enhances this style even more are the pots and pans hanging from the ceiling. A terrace as part of an old-fashioned home is an absolute treat, allowing for gorgeous scenery and fresh air to be enjoyed. And with this outdoor dining area, al fresco evenings under the stars will be a regular and meaningful social occasion. But this décor option is not only limited to rustic homes! If you live in a city apartment, then admiring the view should be a daily habit too. 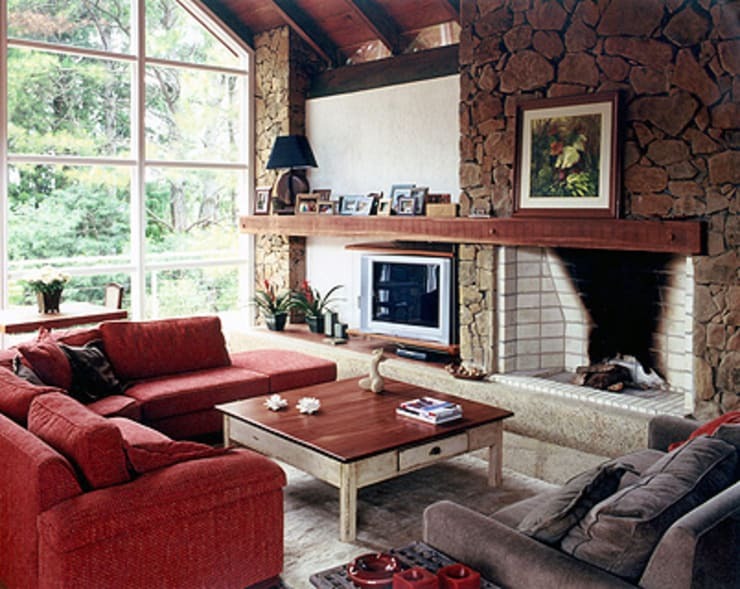 This wonderful rustic home is set in a nature lover's environment. 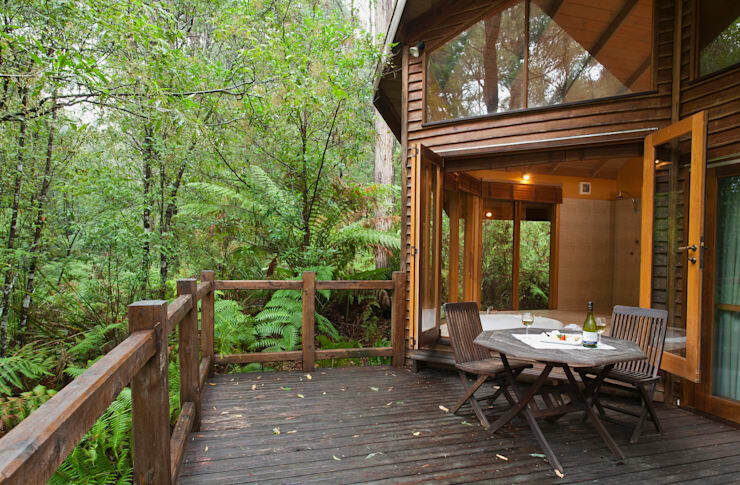 Wouldn’t you just love to wake up to the sound of birds, babbling brooks and insects as the sun rises over the treetops? The wooden cabin and its glazing makes the perfect spot to admire nature, from the comfort and security of the interior. 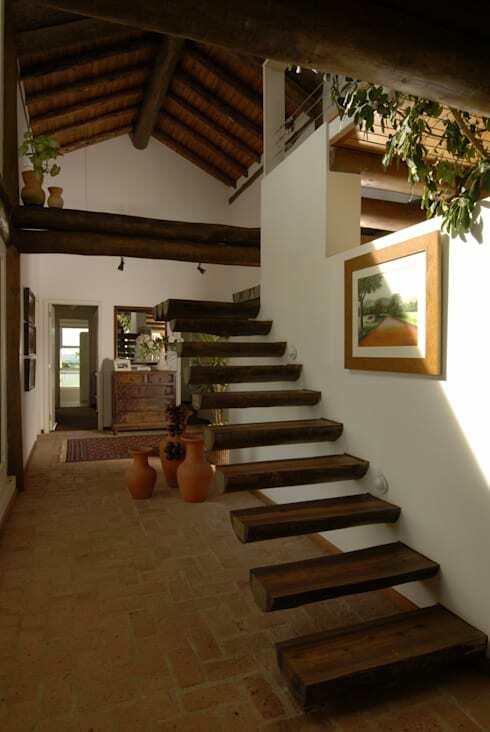 A rustic home is most commonly decorated by wood. This traditional-looking living room includes wooden ceiling beams, as well as the added character and charm of a stone wall and natural light. This futuristic thatched home is truly dreamy. 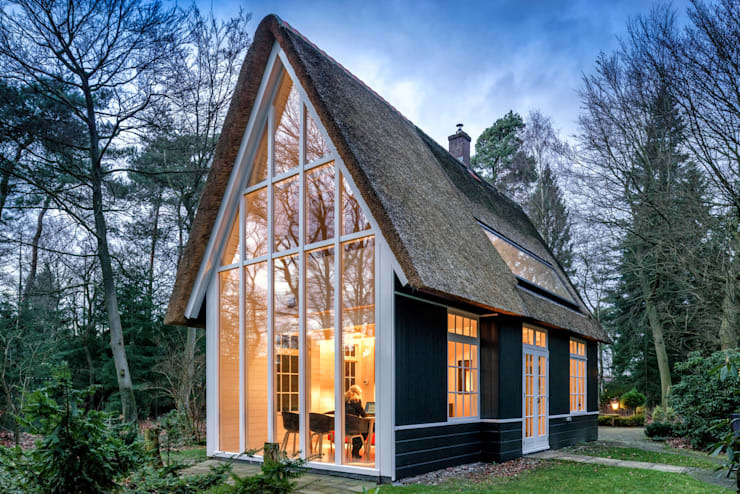 From the gorgeous glazing to the unbelievable height and perfect woodland setting, it would make a fantastic forever home for those who value the detail these Dutch architects include in their structures. There’s something so classic, comfortable and warm about a rustic-style bedroom. And although this feature sees a neutral colour palette and light wood incorporated into the design, it's still a charming and cosy shabby chic take on bedroom décor. So inviting, too! We've reached the end of this Ideabook, but still have one more amazing home for you to admire. The floating staircase is a rather modern addition to home décor, but this dark wood example is a charming feature for any home, adding a bit of drama and contemporary flair to the interior. Now that we've looked at rustic decor, here are 10 amazing wall ideas for a small facade. 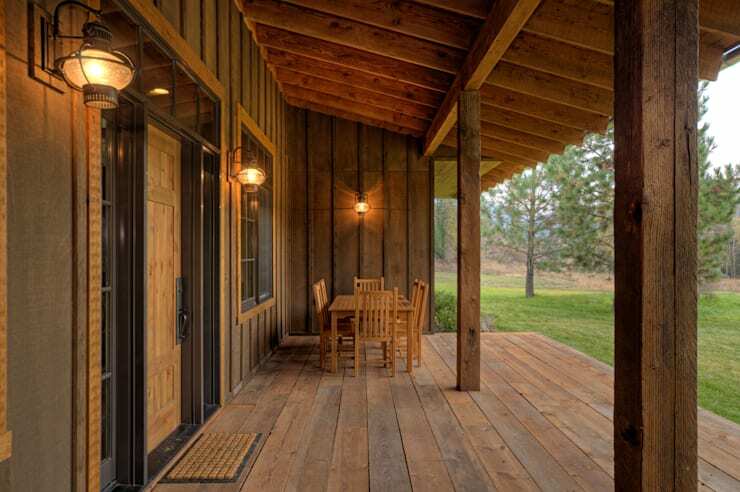 Which of these rustic homes appeals to you most?